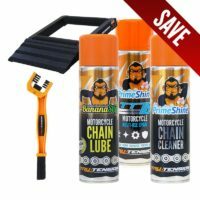 BananaSlip motorcycle Chain Lube and Chain Wax has been formulated by the experts here at Tru-Tension to provide optimum lubrication for different kinds of riding. 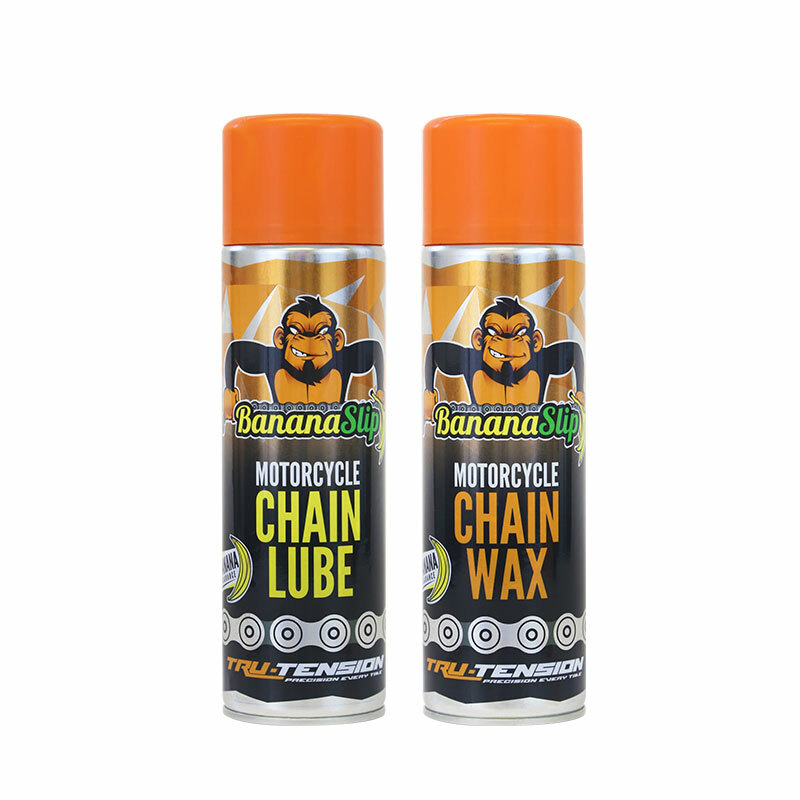 With many years of research into chain performance and increasing life longevity, we are proud to bring you our highly anticipated Chain Lube and Chain Wax, with a fresh banana scent! 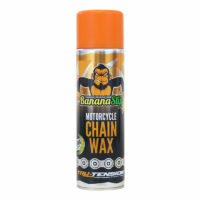 BananaSlip anti-fling PTFE Chain Wax is perfect for motorcycle and motorsport chains that will experience prolonged cycles and high impact environmental conditions. 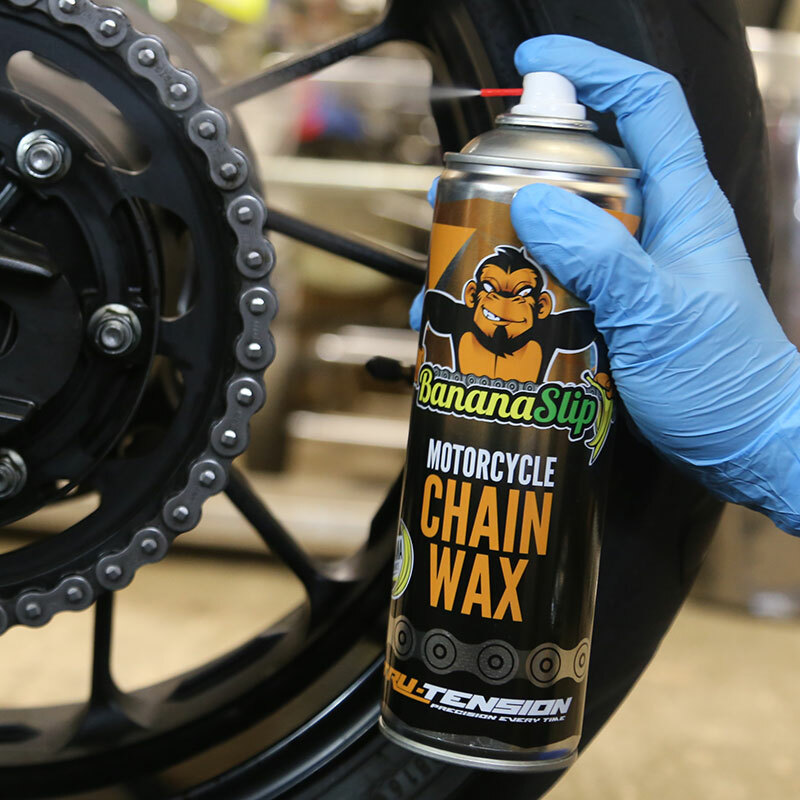 By producing an ultra long lasting wax, BananaSlip keeps the joints of the chain well lubricated and reduces frictional losses between the chain and the sprocket up to twice as long as traditional chain oils. As a result, BananaSlip Chain Wax not only lubricates and protects but also enhances performance and the life of moving components. Our BananaSlip Chain Lube has been specifically formulated to perform exceptionally well under intense use in all weather conditions, while providing long lasting protection. 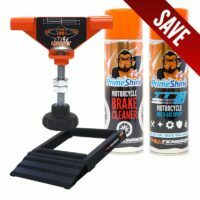 Upon application it penetrates deep into all parts of the chain to give optimum coverage. BananaSlip Chain Lube contains a unique combination of properties in order to reduce frictional losses while leaving an anti-fling wet film with a slippery banana-flavoured scent to protect against even the harshest environments.